The days were dark and desperate. God's people had rebelled. Now a wayward nation was facing the consequences of their faithlessness and disobedience. Seeds of destruction had been planted. Now a bitter harvest was at hand. Enemies were amassing on the borders and God's people were trying to get organized, as best they could, to save themselves and earn God's favor again. Their lives had become a fearful and belabored march full of concerns, rules, and expectations that weighed on them – heavy burdens to carry every moment of every day. I don't know if things have changed much in the world from Jeremiah’s time to our time, but this I do know: The things that Jeremiah prophesied would happen, have happened. Because of what Christ accomplished and because of His presence in us, we have an amazing invitation to stop marching and to start dancing like He foretold. Embracing spiritual freedom and refusing religious captivity. Focusing on Jesus as He shows us new steps to take. Seeing Jesus for who He is. Accepting the invitation to a radically new way of living. How would you characterize your relationship with God? Would you say you are marching or are you dancing like Jeremiah said you would? Two Devotional Books to Help You in 2014! Stuart and Jill Briscoe have written two devotionals to help you stay in the Word in 2014! 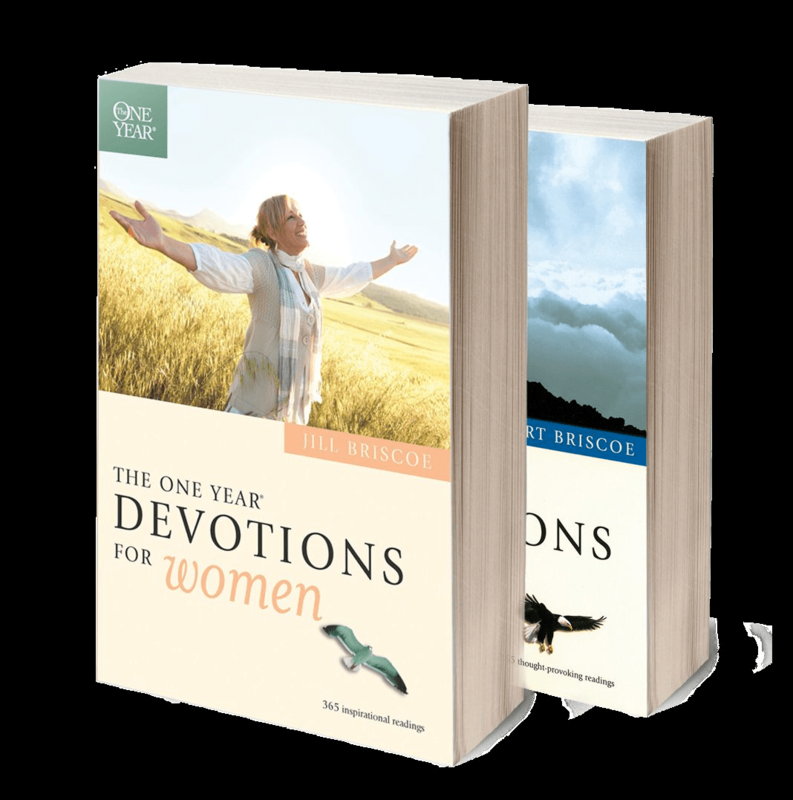 The One Year Devotions for Women is written by a woman for women. You’ll love Jill’s devotional thought for the day and fresh perspectives she brings to God’s Word. The One Year Devotions for Men focuses on men’s spiritual needs without being stuffy. One minute you’re laughing with Stuart, and the next you’re zapped with the high voltage of transforming truth! Choose either devotional as thanks for your renewed support below to help more people experience Life through Telling the Truth this year!